Abu Dhabi: UAE assistance to Yemen has crossed $5.41 billion (Dh19.86 billion) over the last four years and reached over 17.2 million Yemenis between April 2015 and December 2018, a senior official said yesterday (Monday). 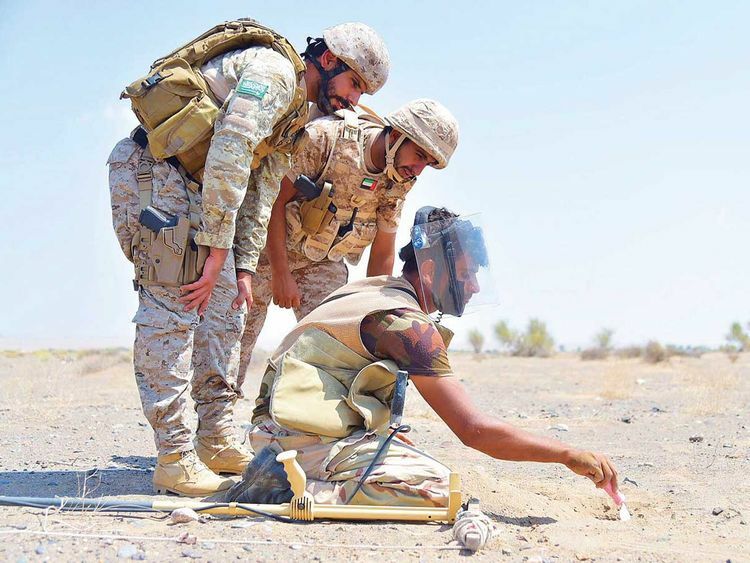 “The important role played by the UAE in Yemen has gone beyond providing aid to victims of military operations — it’s a developmental role that deals with aspects of life from repairing the infrastructure, ensuring the continuation of education for children and youth, building hospitals and combating the epidemic that almost killed those displaced by the Houthi militias,” said Ahmad Abdul Rahman Al Jarman, assistant foreign minister for human rights, in his keynote speech at the second conference on International Humanitarian law at the Bab Al Qasr Hotel in Abu Dhabi. Since April 2015, the UAE has worked on food aid programmes, the building and refurbishment of schools, restoring hospitals and supporting Yemen’s health care sector, rehabilitating utility facilities, including power plants, redeveloping the roads infrastructure to meet the basic needs of more than 17.2 million Yemenis, including 11.2 million children and 3.3 million women. During 2018, the UAE provided $1.24 billion, about $465 million of which was allocated to support the UN Yemen Humanitarian Response Plan, YHRP. Al Jarman, who is also chairman of the national committee for international humanitarian law, said the UAE places the principle of humanity — meaning the vital importance of saving human lives and alleviating suffering wherever it is found — at the heart of humanitarian action, citing assistance provided to Somalia, Kosovo, Lebanon and Afghanistan. He said the Federal law no. 12 of 2017 on international crimes, issued in 2017, makes the UAE the first Arab country to adopt a comprehensive and complete legislation on war crimes, crimes against humanity, genocide, and crimes of aggression among others associated with war and conflict. The two-day event brings together key experts and representatives of national committees on International Humanitarian Law (IHL) as well as major UAE officials to discuss matters 70 years on from the Geneva Convention, new technologies in warfare, counter-terrorism violence, IHL, humanitarian action, the challenges of compliance with IHL and to review the experience and expertise of IHL national commissions. Sophie Barbey, Head of the International Committee of the Red Cross, ICRC, in the UAE praised the UAE’s commitment to protection of human rights and the continual improvement of its judicial laws and practices in line with the basic rules of the Geneva Convention and their Additional Protocols. She reaffirmed the relevance and the importance for a universal acceptance and implementation of IHL to assert the protective power of IHL and for a global engagement to mark the 70th anniversary of the Geneva Convention.